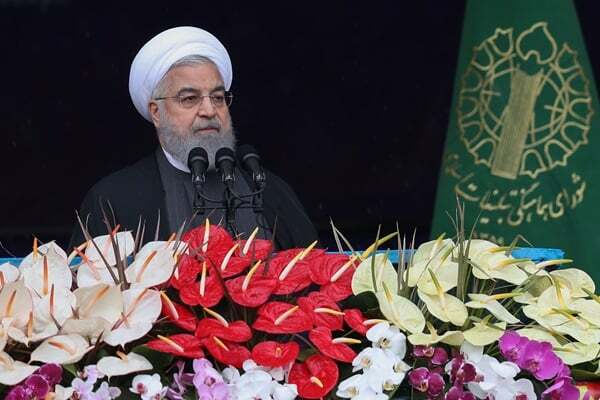 Iran’s president has hailed the massive participation of people in the Monday rallies marking the 40th anniversary of the Islamic Revolution saying the turnout proves that the enemies have failed in their plots against the Iranian nation. “This year, we are celebrating the anniversary of the Islamic Revolution while the criminal US, the Zionists and the regional reactionaries have intensified the pressure of sanctions on our people through their conspiracies,” Rouhani addressed demonstrators in the iconic Azadi Square in Tehran. “So, today the presence of people on the streets across the nation means that the year-long plots of the enemies have been foiled. This turnout also shows that the enemies will never achieve their evil objectives,” he added. The Iranian President also noted that the Islamic Republic will overcome US sanctions and Iran will boost its military power and missile program despite mounting pressures from hostile countries. Rouhani said Iran has never sought permission of anyone to develop different types of missiles and will never do so. Millions of Iranians took to the streets across the country on Monday to mark the fortieth anniversary of victory of Islamic Revolution. They pledged allegiance to the aspirations of the Islamic establishment and also condemned the US and Israel for plotting against the country. The demonstrators said the Iranian nation will not bow to the pressure of US sanctions. Each year, Iranians hit the streets to commemorate the 1979 Islamic Revolution that put an end to the monarchical rule of the US-backed Pahlavi regime.